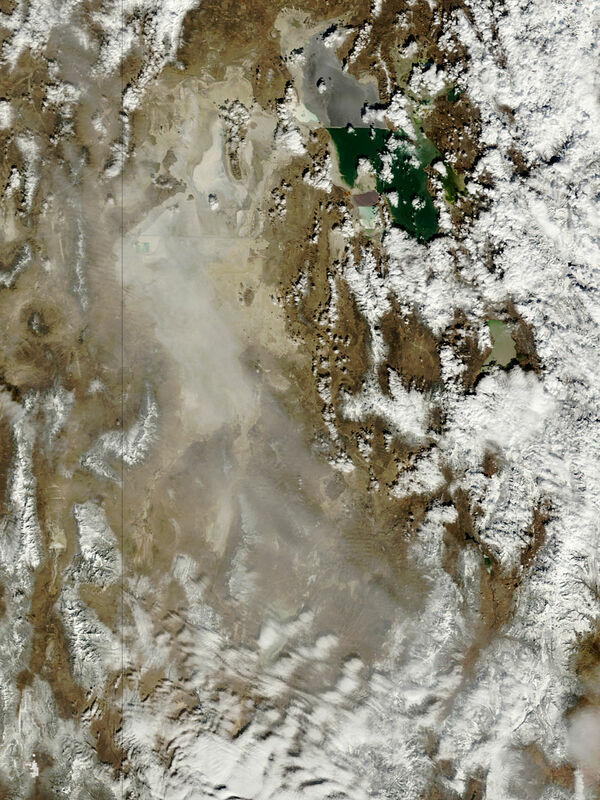 Dust and clouds mingled over Utah in late February 2012. 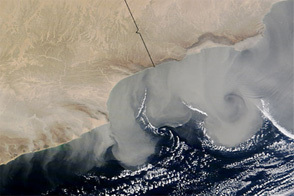 The Moderate Resolution Imaging Spectroradiometer (MODIS) on NASA’s Terra satellite captured this natural-color image on February 23. 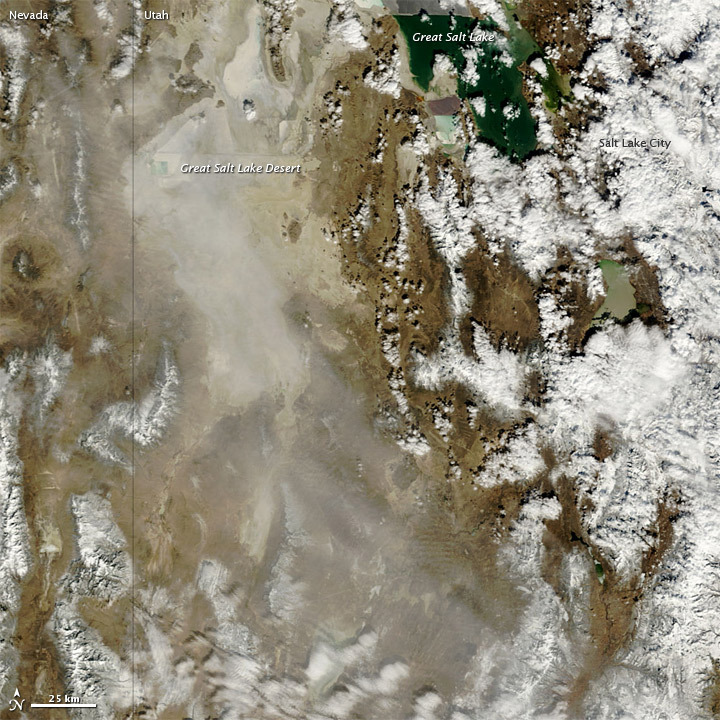 The dust arises from the Great Salt Lake Desert, which has sediments that can provide ample material for dust storms. Cloud banks surround the dust, especially in the south and east. The clouds might result from the same weather pattern that brought the dust-stirring high winds. 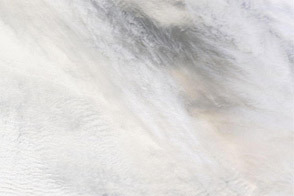 Dust and clouds mingle over Utah in this natural-color image from February 23, 2012.